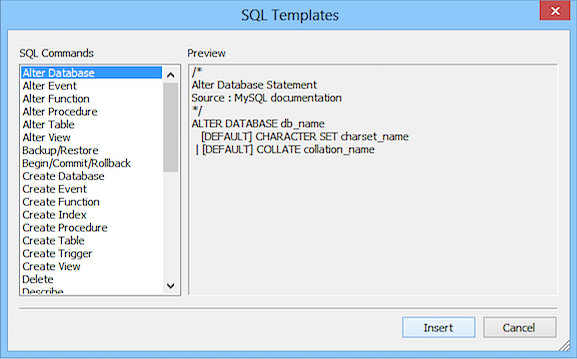 In SQLyog, you get ready templates for all the SQL statements supported by MySQL. Select Edit -> Insert Templates (or press Ctrl+Shift+T). Now select the SQL statement to insert the template and click Insert button. The template is copied in the query Window. Now, you may modify the SQL statement as necessary.